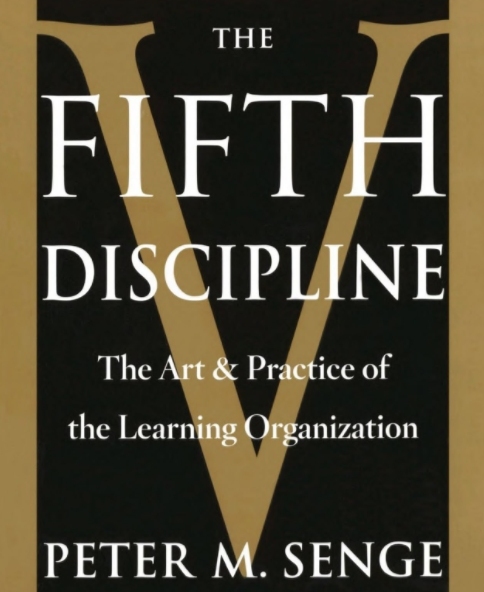 The following pages represent an exact extraction from a chapter on TEAM LEARNING, from the book: THE FIFTH DISCIPLINE – The Art and Practice of The Learning Organization. The book was written by Peter M. Senge of MIT’s Sloan School of Management and published by Doubleday Currency. The author and publisher granted permission to share the excerpt. In a remarkable book, Physics and Beyond: Encounters and Conversations, Werner Heisenberg (formulator of the famous “Uncertainty Principle” in modern physics) argues that “Science is rooted in conversations. The cooperation of different people may culminate in scientific results of the utmost importance.” Heisenberg then recalls a lifetime of conversations with Pauli, Einstein, Bohr, and other great figures who uprooted and reshaped traditional physics in the first half century. These conversations, which Heisenberg says, “had a lasting effect on my thinking,” literally gave birth to many of the theories for which these men eventually became famous. Heisenberg’s conversations, recalled in vivid detail and emotion, illustrate the staggering potential of collaborative learning – that collectively, we can be more insightful, more intelligent than we can possibly be individually. The IQ of the team can, potentially, be much greater than the IQ of the individuals. Given Heisenberg’s reflections, it is perhaps not surprising that a significant contributor to the emerging discipline of team learning is a contemporary physicist, David Bohm. Bohm, a leading quantum theorist, is developing a theory and method of “dialogue,” when a group ” becomes open to the flow of a larger intelligence.” Dialogue, it turns out a very old idea revered by the ancient Greeks and practiced by many “primitive” societies such as the American Indians. Yet, it is all but lost to the modern world. All of us have had some taste of dialogue – in special conversations that begin to have a “life of their own,” taking us in directions we could never have imagined nor planned in advance. But these experiences come rarely, a product of circumstances rather than systematic effort and disciplined practice. There are two primary types of discourse, dialogue and discussion, Both are important to a team capable of continual generative learning, but their power lies in their synergy, which is not likely to be present when the distinctions between them are not appreciated. Bohm points out that the word “discussion” has the same root as percussion and concussion. It suggests something like a “Ping-Pong game where we are hitting the ball back and forth between us.” In such a game the subject of common interest may be analyzed and dissected from many points of view provided by those who take part. Clearly, this can be useful. Yet, the purpose of the game is normally “to win” and in this case winning means to have one’s views accepted by the group. You might occasionally, accept part of another person’s view in order to strengthen your own, but you fundamentally want your view to prevail.” A sustained emphasis on winning is not compatible, however, with giving first priority to coherence and truth. Bohm suggests that what is needed to bring about such a change of priorities is “dialogue,” which is a different mode of communication. By contrast with discussion, the word “dialog” comes from the Greek dialogos. Dia means through. Logos means the word, or more broadly, the meaning. Bohm suggests that the original meaning of dialogue was the “meaning passing or moving through … a free flow of meaning between people, in the sense of a stream that flows between two banks.” In dialogue, Bohm contends, a group accesses a larger “pool of common meaning,” which cannot be accessed individually. “The whole organizes the parts,” rather than trying to pull the parts into a whole. In dialogue, a group explores complex difficult issues from many points of view. Individuals suspend their assumptions but they communicate their assumptions freely. The result is a free exploration that brings to the surface the full depth of people’s experience and thought, and yet can move beyond their individual views. “The purpose of dialogue,” Bohm suggests, “is to reveal the incoherence in our thought.” There are three types of incoherence. “Thought denies that it is participative.” Thought stops tracking reality and “just goes, like a program.” And thought establishes it own standard of reference for fixing problems, problems which it contributed to creating in the first place. To illustrate, consider prejudice. Once a person begins to accept a stereotype of a particular group, that “thought” becomes an active agent, “participating” in shaping how he or she interacts with another person who falls into that stereotyped class. In turn, the tone of their interaction influences the other person’s behavior. The prejudiced person can’t see how his prejudice shapes what he “sees” and how he acts. In some sense, if he did, he would no longer be prejudiced. To operate, the “thought” of prejudice must remain hidden to its holder. “Thought presents itself (stands in front) of us and pretends that it does not represent..” We are like actors who forget they are playing a role. We become trapped in the theater of our thoughts (the words “theater” and “theory” have the same root – theoria – “to look at”). This is when thought starts, in Bohm’s words, to become “incoherent.” “Reality may change but the theater continues.” We operate in the theater, defining problems, taking actions, “solving problems,” losing touch with the larger reality from which the theater is generated. Dialogue is a way of helping people to “see the representative and participatory nature of thought [and] … to become sensitive to and make it safe to acknowledge the incoherence in our thought.” In dialog people become observers of their own thinking. What they observe is that their thinking is active. For example, when a conflict surfaces in a dialogue people are likely to realize that there is a tension, but the tension arises, literally, from our thoughts. People will say,” It is our thoughts and the way we hold on to them that are in conflict, not us.” Once people see the participatory nature of their thought, they begin to separate themselves from their thought. They begin to take a more creative, less reactive, stance toward thought. They also begin to observe the difference between “thinking” as an ongoing process as distinct from “thoughts,” the results of that process. This is very important, according to Bohm, to begin correcting the incoherence in our thinking. If collective thinking is an ongoing stream, “thought” are like leaves floating on the surface that wash up on the banks. We gather in the leaves, which we experience as “thoughts.” We misperceive the thoughts as our own, because we fail to see the stream of collective thinking from which they arise. In dialog, people begin to see the stream that flows between the banks. They begin to “participate in this pool of common meaning, which is capable of constant development and change.” Bohm believes that our normal processes of thought are like “course net that gathers in only the coursest elements of the stream. In dialogue, a “kind of sensitivity” develops that goes beyond what we normally recognize as thinking. This sensitivity is “a fine net” capable of gathering in the subtle meanings in the flow of thinking. Bohm believes this sensitivity lies at the root of real intelligence. So, according to Bohm, collective learning is not only possible but vital to realize the potentials of human intelligence. “Through dialogue people can help each other to become aware of the incoherence in each other’s thoughts, and in this way the collective thought becomes more and more coherent [from the Latin cohaerere – “hanging together”]. It is difficult to give a simple definition of coherence, beyond saying that one may sense it as order, consistency, beauty, or harmony. The main point, however, is not to strive for some abstract ideal of coherence. It is rather for all the participants to work together to become sensitive to all the possible forms of incoherence. Incoherence may be indicated by contradictions and confusion but more basically it is seen by the fact that our thinking is producing consequences that we don’t really want. 3. there must be a “facilitator” who “holds the context” of dialogue. These conditions contribute to allowing the “free flow of meaning” to pass through a group, by diminishing resistance to the flow. Just as resistance in an electrical circuit causes the flow of current to generate heat (wasted energy), so does the normal functioning of a group dissipate energy. In dialogue there is “cool energy, like a superconductor.” “Hot topics,” subjects that would otherwise become sources of emotional discord and fractiousness become discussable. Even more, they become windows to deeper insights. Suspending Assumptions. To “suspend” one’s assumptions means to hold them, “as it were, ‘hanging in front of you,’ constantly accessible to questioning and observation.” This does not mean throwing out our assumptions, suppressing them, or avoiding their expression. Nor, in any way, does it say that having opinions is “bad,” or that we should eliminate subjectivism. Rather, it means being aware of our assumptions and holding them up for examination. This cannot be done if we are unaware of our assumptions, or unaware that our views are based on assumptions, rather than incontrovertible fact. For example, in a recent dialog session involving a top management team of a highly successful technology company, people perceived a deep “split” in the organization between R&D and everyone else, a split due to R&D’s exalted role at the company. This split had its roots in the firm’s history of a string of dramatic product innovations over the past thirty years, literally pioneering several dramatic new products that in turn became industry standards. Product innovation was the cornerstone of the firm’s reputation in the marketplace. Thus, no one felt able to talk about the “split”, even though it was creating many problems. To do so might have challenged the long-cherished value of technology leadership and of giving highly creative engineers the autonomy to pursue their product visions. Moreover, the number-two person in R&D was in the meeting. When the condition of “suspending all assumptions” was discussed , the head of marketing asked, “All assumptions?” When he received an affirmative answer, he looked perplexed. Later, as the session continued, he acknowledged that he held the assumption that R&D saw itself as the “keeper of the flame” for the organization, and that he further assumed that this made them unapproachable regarding market information that might influence product development. This led to the R&D manager responding that he too assumed that others saw him in this light, and that, to everyone’s surprise, he felt that this assumption limited his and the R&D organization’s effectiveness. Both shared these assumptions as assumptions, not proven fact. As a result, the ensuing dialogue opened up into a dramatic exploration of views that was unprecedented in its candor and its strategy implications. “Suspending assumptions” is a lot like seeing “leaps of abstraction” and “inquiring into the reasoning behind the abstraction,” basic reflection and inquiry skills developed in Chapter 110. “Mental Models.” But in dialogue, suspending assumptions must be done collectively. The team’s discipline of holding assumptions “suspended” allowed the team members to see their own assumptions more clearly because they could be held up and contrasted with each other’s assumptions. Suspending assumptions is difficult, Bohm maintains, because of “the very nature of thought. Thought continually deludes us into a view that ‘this is the way it is. '” The team discipline of suspending assumptions is an antidote to that delusion. Seeing Each Other as Colleagues. Dialogue can occur only when a group of people see each other as colleagues in mutual quest for deeper insight and clarity. Thinking of each other as colleagues is important because thought is participative. The conscious act of thinking of each other as colleagues contributes toward interacting as colleagues. This may sound simple, but it can make a profound difference. Seeing each other as colleagues is critical to establish a positive tone and to offset the vulnerability that dialogue brings. In dialogue people actually feel as if they are building something, a new deeper understanding. Seeing each other as colleagues and friends, while it may sound simple, proves to be extremely important. We talk differently with friends from the way we do with people who are not friends. Interestingly, as dialogue develops, team members will find this feeling of friendship developing even towards others with whom they do not have much in common. What is necessary going in is the willingness to consider each other as colleagues. In addition, there is a certain vulnerability to holding assumptions in suspension. Treating each other as colleagues acknowledges the mutual risk and establishes the sense of safety in facing the risk. Colleagueship does not mean that you need to agree or share the same views. On the contrary, the real power of seeing each other as colleagues comes into play when there are differences of view. It is easy to feel collegial when everyone agrees. When there are significant disagreements, it is more difficult. But the payoff is also much greater. Choosing to view “adversaries “as “colleagues with different views” has the greatest benefits. Bohm has expressed doubts about the possibility of dialogue in organizations because of the condition of colleagueship: “Hierarchy is antithetical to dialog, and it is difficult to escape hierarchy in organizations.” He asks: “Can those in authority really ‘level’ with those in subordinate positions?” Such questions have several operational implications for organizational teams. First, everyone involved must truly want the benefits of dialogue more than he wants to hold onto the privileges of rank. If one person is used to having his view prevail because he is the most senior person, then that privilege must be surrendered in dialogue. If one person is used to withholding his views because he is more junior, then that security of nondisclosure must also be surrendered. Fear and judgement must give way. Dialogue is “playful”; it requires the willingness to play with new ideas, to examine them and test them. As soon as we become overly concerned with “who said what,” or “not saying something stupid,” the playfulness will evaporate. These conditions cannot be taken lightly, but we have found many organizational teams consistently up to the challenge if everyone knows what is expected of him in advance. Deep down, there is a longing for dialogue, especially when focused on issues of the utmost importance to us. But that doesn’t mean dialogue is always possible in organizations. If all participants are not willing to live by the conditions of suspending assumptions and colleagueship, dialogue will not be possible. The facilitator of a dialogue session carries out many of the basic duties of a good “process facilitator.” These functions include helping people maintain ownership of the process and the outcomes – we are responsible for what is happening. If people start to harbor reservations that “so and so” won’t let us talk about this, that constitutes an assumption not held in suspension. The facilitator also must keep the dialogue moving. If any one individual should start to divert the process to a discussion when a discussion is not actually called for, this needs to be identified, and the group asked whether the conditions for dialogue are continuing to be met. The facilitator always walks a careful line between knowledgeable and helpful in the process at hand, and yet not taking on the “expert” or “doctor” mantle that would shift attention away from the members of the team, and their ideas and responsibility. But, in dialogue the facilitator also does something more. His understanding of dialogue allows him to influence the flow of development simply through participating. For example, after someone has made an observation, the facilitator may say, ” But the opposite may be true.” Beyond such reminders of the conditions for dialogue, the facilitator’s participation demonstrates dialogue. The artistry of dialogue lies in experiencing the flow of meaning and seeing the one thing that needs to be said now. Like the Quakers, who enjoin members to say not simply whatever pops into their heads but only those thoughts that are compelling ( and which causes the speaker to quake at each point in time. This deepens others’ appreciation of dialogue more than any abstract explanation can ever do. As teams develop experience and skill in dialogue, the role of the facilitator becomes less crucial and he or she can gradually become just one of the participants. Dialogue emerges from the “leaderless” group once the team members have developed their skill and understanding. In societies where dialogue is an ongoing discipline, there usually are no appointed facilitators. For example, many American Indian tribes cultivated dialogue to a high art without formal facilitators. Shamen and other wise men had special roles, but the group was capable of entering dialogue on its own. Balancing Dialogue and Discussion. In team learning, discussion is the necessary counterpart of dialogue. In a discussion, different views are presented and defended, and as explained earlier this may provide a useful analysis of the whole situation. In dialogue, different views are presented as a means toward discovering a new view. In a discussion, decisions are made. In a dialogue, complex issues are explored. When a team must reach agreement and decisions must be taken, some discussion is needed. On the basis of a commonly agreed analysis, alternate views need to be weighed and a preferred view selected (which may be one of the original alternatives or a new view that emerges from the discussion). When they are productive, discussions converge on a conclusion or course of action. On the other hand, dialogues are diverging; they do not seek agreement, but a richer grasp of complex issues. Both dialogue and discussions can lead to new courses of action; but actions are often the focus of discussion, whereas new actions emerge as a by-product of dialogue. A learning team masters movement back and forth between dialogue and discussion. The ground rules are different. The goals are different. Failing to distinguish them, teams usually have neither dialogue nor productive discussions. A unique relationship develops among team members who enter into dialogue regularly. They develop a deep trust that cannot help but carry over to discussions. They develop a richer understanding of the uniqueness of each person’s point of view. Moreover, they experience how larger understandings emerge by holding a position, rather than being “held by their positions.” When it is appropriate to defend a point of view, they do it more gracefully and with less rigidity, that is without putting “winning” as a first priority. Moreover, to a large degree, the skills that allow dialogue are identical to the skills that can make discussions productive rather than destructive. These are the skills of inquiry and reflection, originally discussed in Chapter 10, “Mental Models.” In fact, one of the reasons that dialogue is so important is that it offers a safe environment for honing these skills and for discovering the profound group learning that they can lead to. Reflection, Inquiry, and Dialogue. In David Bohm’s thinking we hear deep echoes of the “action science” approach discussed in Chapter 10 – the importance of making one’s views open to influence; and the problem of confusing our mental models with reality. What makes Bohm’s work distinctive is that he is articulating a “new” vision of what can happen in a group that transcends the disabilities identified by the action scientists. Moreover, Bohm’s dialogue is a team discipline. It cannot be achieved individually. Part of the vision of dialogue is the assumption of a “larger pool of meaning” accessible only to a group. This idea, while it may appear radical at first, has deep intuitive appeal to managers who have long cultivated the subtler aspects of collective inquiry and consensus building. Such managers learn early on to distinguish two types of consensus: a “focusing down” type of consensus that seeks the common denominator in multiple individual views, and an “opening up” type of consensus that seeks a picture larger than any one person’s point of view. The first type of consensus builds from the “content” of our individual views – discovering what part of my view is shared by you and others. This is our “common ground,” upon which we can all agree. The second type of consensus builds more from the idea that we each have a “view,” a way of looking at reality. If I can “look out” through your view and and you through mine, we will each see something we might not have seen alone. If dialogue articulates a unique vision of team learning, reflection and inquiry skills may prove essential to realizing that vision. Just as personal vision provides a foundation for building shared vision, so too do reflection and inquiry skills provide a foundation for discussion. Dialogue that is grounded in reflection and inquiry skills is likely to be more reliable and less dependent on particulars of circumstance, such as the chemistry among team members.